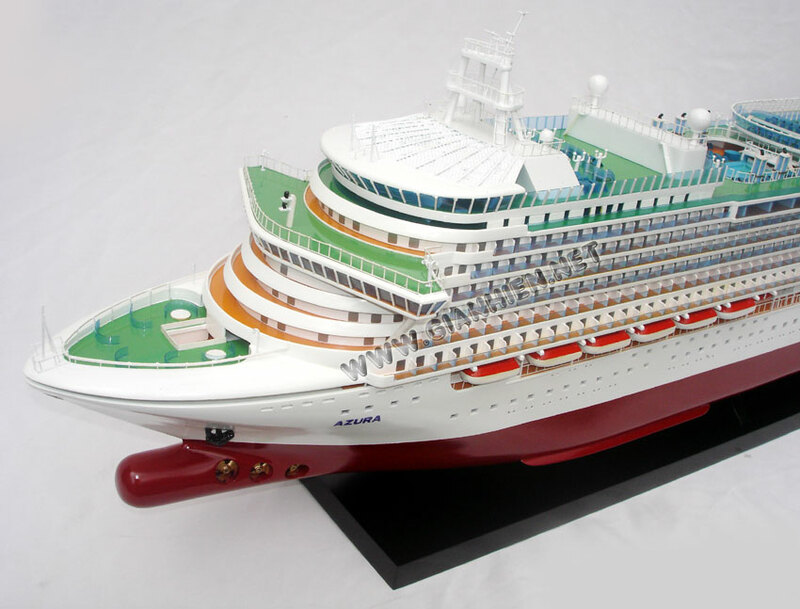 MS Azura is a cruise ship of the P&O Cruises fleet. 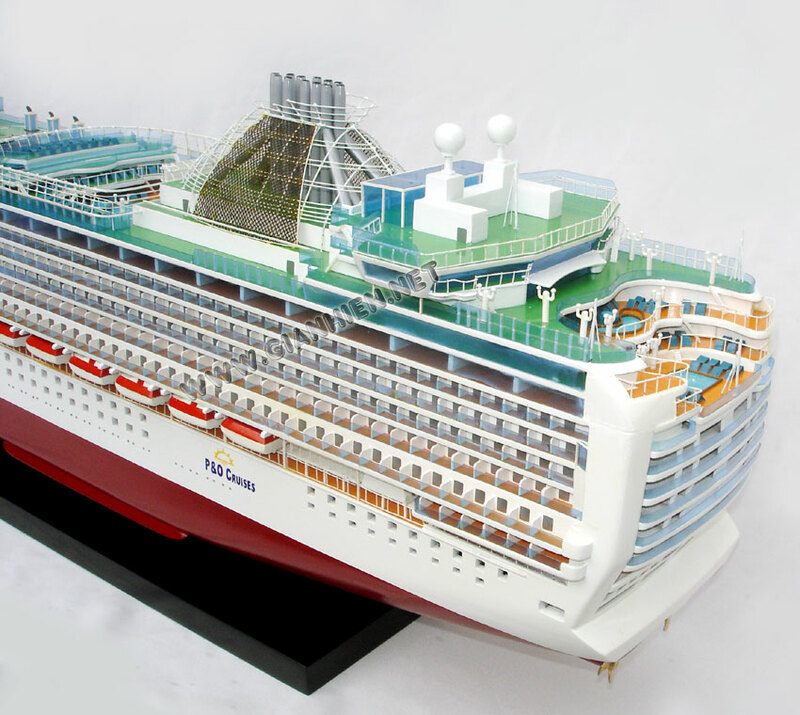 The ship was built by Fincantieri at their shipyard in Monfalcone, Italy. 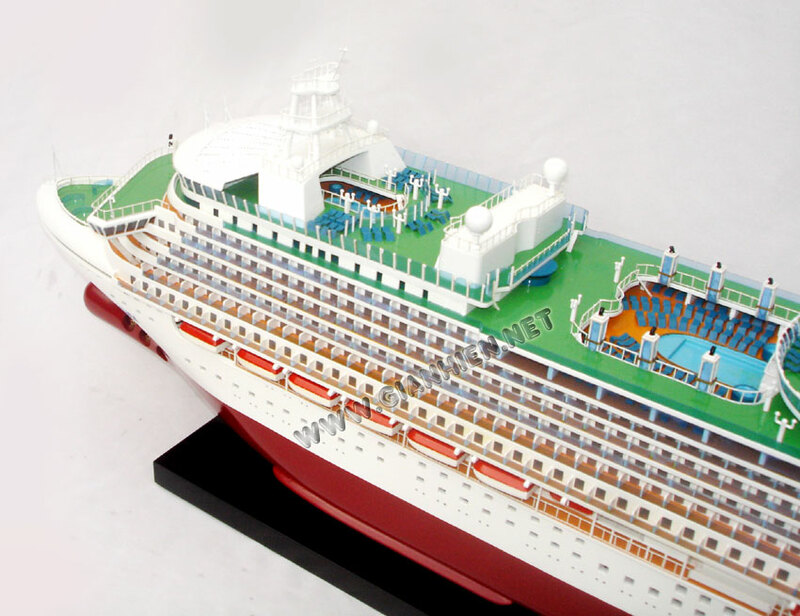 At 115,055 tonnes, Azura is the second largest of seven ships currently in service with P&O Cruises. She is also the sister ship of MS Ventura. She officially entered service with the company in April 2010 and was named by Darcey Bussell. 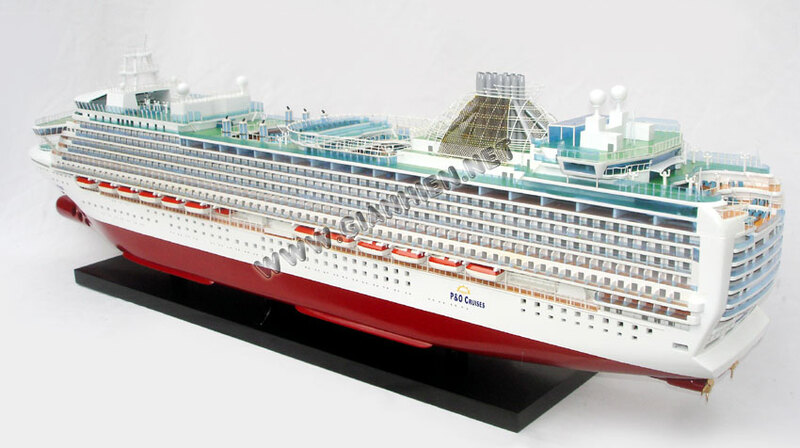 MS Azura is a Grand class ship, with a modified design which distinguishes her from early ships of the same class. Construction of Azura began in 2008 when her keel was officially laid on 27 October 2008. A ceremonial float out took place on Friday 26 June 2009, in which she was blessed by a priest, with Amanda Dowds, wife of the ship's captain, acting as her Godmother. The formal handover transferring the vessel to P&O Cruises, took place on Friday 26 March 2010, attended by P&O Cruises' managing director Carol Marlow and Carnival UK's chief executive David Dingle. 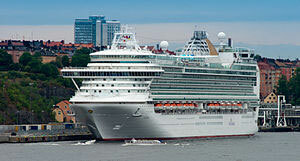 Azura's maiden voyage began on 31 March 2010, when she departed from the Fincantieri shipyard en route to Southampton. She arrived in the UK on 7 April 2010 at 9:12am. 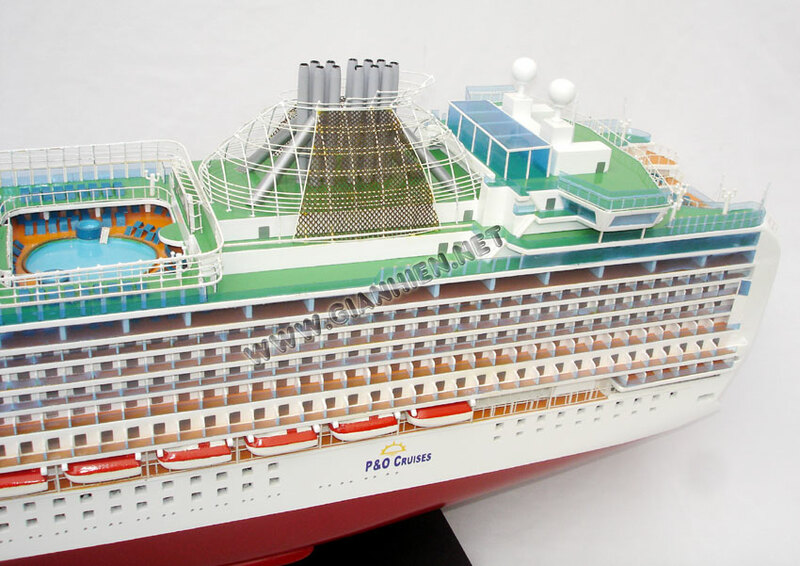 Azura's cruise with passengers began on 12 April 2010. Azura was christened at 08:20 pm on Saturday, 10 April 2010, by godmother Darcey Bussell. A former principal dancer of the Royal Ballet, Bussell presented a dance performance by Royal Ballet School as part of the celebrations, as well as performing the traditional bottle breaking ceremony to christen the ship. 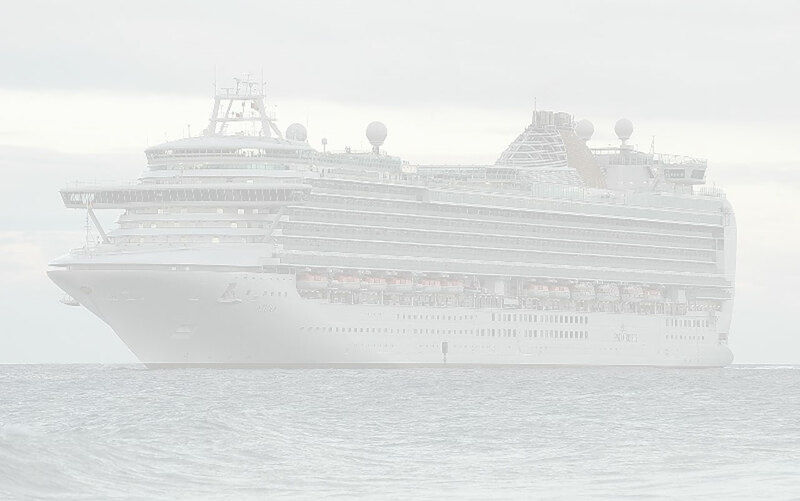 Azura was originally registered in her homeport of Southampton, UK; but from 1 November 2011 she was re-registered to Hamilton, Bermuda, bringing her in line with her other P&O fleetmates and enabling wedding ceremonies to be conducted onboard. Azura is designed to appeal more to P&O's traditional client base and returning customers, whereas sister ship Ventura is more family orientated, and attracts new, often younger clients. 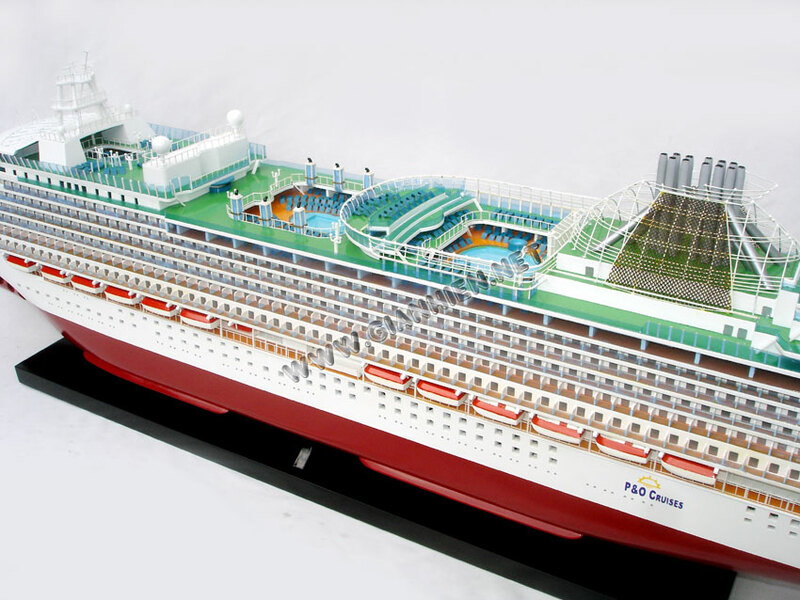 For the first time in the P&O Cruises fleet, Azura features eighteen single staterooms. There are 900 cabins with private balconies and a select number of spa staterooms with exclusive access to the Oasis Spa. 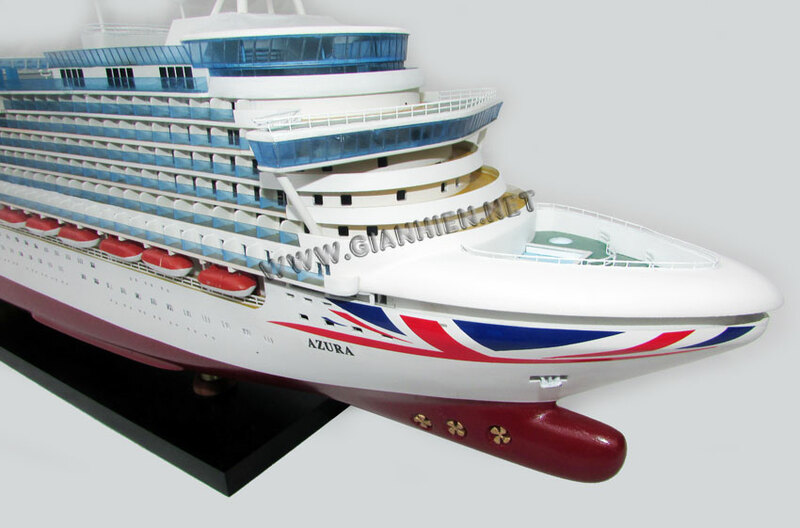 Azura is the only Grand Class ship to feature a Duck Tail stern. Wine expert Olly Smith has helped to create the Glass House, a venue where passengers are able to sample various wines. Atul Kochhar, a three Michelin stars chef will be enlisted to create Sindhu, an Indian fine dining restaurant on board. The ship features a dance floor in the atrium, a New York styled show lounge and modern interpretation on a London pub. For the first time in the P&O Cruises fleet, Azura features an open air cinema screen similar to those found on Princess Cruises ships such as Caribbean Princess. 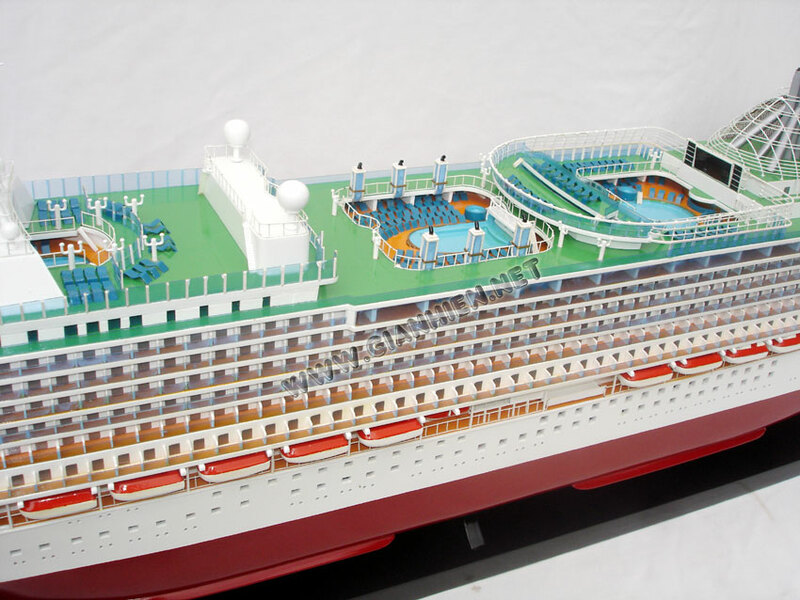 The screen, known as the SeaScreen is situated in front of the funnel on Azura.